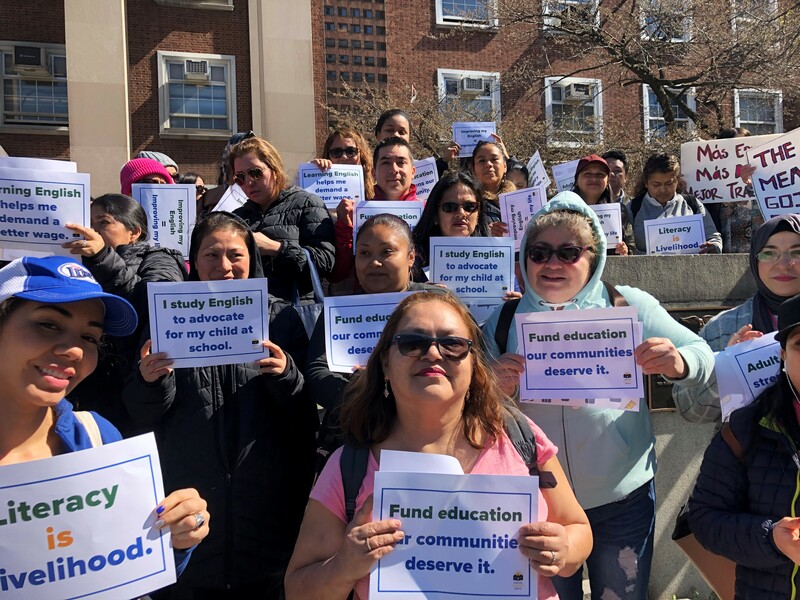 Sunnyside Community Services stood with other community organizations, immigrants, adult learners, advocates, and allies on the steps of Queens Borough Hall on April 10th to protest funding cuts to the Mayor's executive budget for English and other adult literacy programs. The New York City Coalition for Adult Literacy estimates there are 2.2 million adult New Yorkers (1/3 of the adult population) currently lacking English proficiency and/or a high school diploma. Two of our ESOL students are featured in this story. You can watch here: https://www.ny1noticias.com/nyc/noticias/noticias/2019/04/10/piden-que-no-se-eliminen-clases-de-ingles-para-migrantes-adultos#. Learn more about our ESOL program and other programs for youth and family on our webpage.